It should be a matter of no small comfort if, in today’s world and in today’s India, any discussion takes place anywhere about the relationship between knowledge and innovation on the one hand and the prospects for a good society on the other. It is greatly more satisfying and reassuring if this topic interests talented young minds such as present here, who, I hope, also nurse hopes for a better future, not only for themselves but also for the entire society and civilization. Yours is an esteemed institution with such a long history of cultivating and disseminating knowledge about society – about politics, economics and other related disciplines. I am sure this issue has been a core concern right from the inception of this institute, and I doubt if I will be able to bring in anything of added value. But, as I said, this is always a welcome topic for discussion. I am very happy for this opportunity to share some of my thoughts with you. Today if one mentions these two words – knowledge and innovation – together, it is very likely that the image of a Mark Zuckerberg or Steve Jobs or Bill Gates will come to mind, even if such an association is not obvious to everyone. I, for one, often need to tell myself that I should not complain. After all, these gentlemen are symbols of one of the greatest technological revolutions humanity has experienced and we are living through. It has changed the way humanity works, communicates and lives, and it is not over yet. Unrealized potentials far outweigh the realized ones and far greater changes are in the pipeline. Physicists have recently discovered that the Universe now expands at an accelerated rate, but when it comes to accelerated expansion into the unknown, the Universe appears to be no match for technology. For many the technological explosion is a cause for unadulterated excitement and a source of unbounded hope. For many others it is a cause for grave concern. There are yet others for whom it presents a mixed picture. In times of rapid and radical transformations, it is not unusual for many to have a sense of unease. Humanity has always innovated and created new ways and forms of life, and it has always found it difficult to adjust to its own innovations and creations. But the capacity to adjust improves with time. If the sense of unease or consternation appears widespread despite a greatly improved capacity for adjusting to the new, part of the reason lies in the break-neck speed of the current change. But it is not solely a matter of adjustment in the relatively superficial sense of adjusting to a changed mode of daily living. One cannot simply hope that, with time, one will be able to adjust and the worries will melt away. One may adjust and yet all the worries may not disappear. If I have to remind myself that I should not complain, it is not because I am slow in befriending the gadgets. Slow I am, despite my training as a physicist. I do not use a smart-phone, have no experience with the apps, and depend on my daughter to book a cab. But that is the least of my worries. People of my vintage have at times a kind of philosophical-attitudinal unease. It is an anxiety about losing the depth dimension of knowledge and culture. As if the vertical axis of the world is being obliterated and all that matters now is merely horizontal. I would not call it easy or superficial. I know that this new world is very complex, very dense and extremely dynamic. It is created by very smart people and requires considerable smartness to cope with it. But the fact remains that writing software for a new app is far more consequential than finding the Higgs boson or measuring the weight of the neutrino. Google labs harbor far more lucrative discoveries than the Large Hadron Collider. Anticipating consumer preferences or figuring out the hydraulics of the financial market is far more rewarding than discovering the deeper laws of Nature or of history. It is possible that such philosophical-attitudinal anxieties are just that – they are philosophical and attitudinal. They may arise largely from a certain state of mind. And this is not happening for the first time. It is an old debate whether knowledge is valuable in itself or it is valuable only in the measure of what difference can it make to the worldly affairs. Furthermore, it is not the case that discoveries of supposedly fundamental nature have slowed down. This apparently horizontal world hasn’t forgotten about the depth dimension. New and deeper knowledge is being gained in all fields – whether about the workings of Nature, or of society or of the human mind. Is there nothing to worry about, then? Do we live in the best of all possible worlds, as Leibniz assured, where only good things happen? Does knowledge marches on unhindered by the social order, fathoms the depths of reality and bears fruits of innovation and technology that in turn create an ever-better quality of life and society? We do not need a Voltaire to figure out that this would be a pure fantasy. Barriers to knowledge are far more pervasive and powerful than factors facilitating it, so are the impediments to innovation. Then, there are formidable controversies about what would count as a better society. Obviously, there is a great deal to worry about when it comes to the relationship between knowledge and innovation on the one hand and the quality of life and society on the other. It is not a bad idea to start with a rather pedantic discussion about the general nature of the three words in the title. The first thing to notice is that as we move from “knowledge” through “innovation” towards the concept of a “better society”, things become less and less disinterested or dispassionate, and more and more purposive and value-loaded. Roughly speaking, knowledge is invariably “of something” or “about something” and even if you are passionately “interested” in that thing, it is advised that, in your own interest, you gain knowledge about it in a reasonably “disinterested” manner. Innovation, in comparison, is aimed at achieving a goal that is otherwise difficult to achieve. In principle, the goal itself can be of “disinterested” type. You may, for example, invent a new method to gain knowledge about something as “useless” as a black hole, or prove a theorem in number theory that has no practical utility. But when we place “innovation” in between “knowledge” and “better society”, it becomes clear that we are concerned with something more “instrumental”. Technology is one such example, whether it is of the “hard” type that manipulates materials or of the “soft” kind that “manipulates” humans. “Better society”, on the other hand, is clearly, even if not entirely, a normative concept and you can legitimately derive your own version largely from the values you subscribe to. One needs, then, to think about the following question. Is it possible that knowledge inexorably leads to all possible innovations which in turn contribute necessarily to the creation of a better society? This would take us back to the “best of all possible worlds” and we will be confronted with the absurdity that knowledge of the atomic nucleus must lead to decimation of Hiroshima and Nagasaki, which would be a necessary ingredient into the making of a better world. Appearance of a “better society” will never gain a status similar to a natural law. It will always be a value-loaded term. Should we, then, turn the question around and say that we first decide what would be a “better society” and declare only that knowledge desirable and only that innovation permissible which help create such a society? This too would be a comparable absurdity, although you would be surprised to know that it is not recognized as such by a large section of very learned men, and at times even by very great men. Many of you may have read Hind Swaraj and may know that Mahatma Gandhi considered railways a threat to good society. Of course he used them to a very good purpose and traveled the length and breadth of the subcontinent to know the conditions of its people. In this he was setting an example for his postmodernist followers who consider modernity a disaster for humanity without failing to put its fruits to their own good use. The relationship between knowledge and good society cannot be turned into a simple one-way street. Knowledge does not automatically lead to a good society, and the concept of good society cannot determine the boundaries of possible knowledge. Philosophers have long demarcated the realm of what is true from the realms of what is the right thing to do and what is a good thing to have. In the Indian philosophical lexicon one talks about the domains of Satyam, Shivam and Sundaram. The domains are not unconnected, but their connections can be figured out only after first-order attempts at understanding their separate natures. Let me add a practical sort of comment about knowledge before I move on to the other domains. In the contemporary intellectual discourse you will hear a lot about knowledge being implicated in interest and power. No one can altogether deny the existence of such a connection. But often it is highly exaggerated, and sometimes it amounts to throwing the baby with the bath water. It depends on which piece or branch of knowledge one is talking about. There is knowledge about the world which is prior to humans. They are not its creators. Much of Nature comes under this category and physics and biology are examples of knowledge about this world. Then there can be knowledge about the world which humans have made. Society falls under this category. Both politics and economics that figure in the name of your institute are examples of knowledge about the ‘man-made’ world. There can also be knowledge about the very private world of aesthetic judgments about what is beautiful and what is good life. These different kinds of knowledge are prone to contamination by interest, power or prejudice in widely differing degrees. You might consider these points obvious. But never underestimate the philosopher’s or the theorist’s capacity for muddying the clearest of waters. Starting from a perfectly reasonable premise that an apparently objective piece of knowledge can have motivated assumptions hidden in its foundations and can be laced with prejudices arising out of the social, personal or biological make-up of the knower, one can always go overboard and consider all kinds of knowledge equally suspect. There have been learned analyses about Newtonian classical physics being deeply structured by patriarchy because it is crucially dependent on the concept of “force”. Irrespective of the great contributions that theories of patriarchy have made to the advancement of knowledge, culture, equality, justice and freedom, it is unadulterated nonsense to accuse Newtonian physics of being patriarchal. Of course classical physics has problems and it has been rightly superseded, but its weaknesses have nothing to do with patriarchy, racism, colonialism or capitalism. A practical lesson from all this is that one should be as rigorous as possible in generating, disseminating and evaluating knowledge. If there are interests, prejudices or ideologies contaminating a piece of knowledge, rigor is among the most effective tools for locating such contaminations. At the same time, one should have a robust sense of broad reality. Even when one goes far out on a theoretical limb, one should not let go of the sturdier branches of the knowledge tree. Let me now jump to the notion of a “better society”. I will make a few comments about “innovation” only towards the end. Like all value-loaded terms it generates endless debate and one cannot expect that arguments based on facts and buttressed with rigor will be enough to settle the issue. And yet, it is not the case that one is completely at sea. History keeps on settling some of the debates even as new ones keep on arising. In the political atmosphere that prevails in the country today, one is likely to hear someone proclaiming that a good society can be created only if we return to the Vedic times, or replace the Constitution of India withManusmriti, or expel citizens with certain religious identities or food habits from the country. Irrespective of the political-electoral mileage one can draw out of such stances or the decibels one can add to the debates in the television studios, it is not a serious proposal for creating a better society. Whatever may be the truth about the virtues of the ancient era, it ended long ago. Indians have come a long way and I have a suspicion that even those who sing praises to that era will not be happy to go back. More importantly, modern values of equality, justice and freedom are here to stay, even in a society such as contemporary India. In the short run, one may have legitimate worries about the clock turning back and about the capacity of people to make democracy work against their own interest, but in the long run India will not go back to the injustice, hierarchy and unfreedom of the ancient times. The debate gets thicker and more realistic among those who would tend to agree on the desirability of modern values. Disagreements arise about which values are more foundational, which goals take precedence over others, and which factors have causal powers over other factors in making them move one way or another. Take, for example, the role of prosperity in creating a better society. If we ward off certain extreme positions such as poverty may be helpful in living virtuously and in saving the planet, there will be little disagreement over prosperity being desirable not only for the goal of “good living”, but also for creating a more equal, just and caring society. At least the task becomes easier. But there would be enormous debate about how you plan to bring prosperity and what kind of trade-off you are ready for if your method of becoming prosperous comes in conflict with other values such as justice and equality. You are students of economics and politics and you may be well aware, perhaps more than I am, about the “trickle down” doctrine. If prosperity comes, some of it will find its way down. Rising sea will lift all boats. Inequality may still be there or it may even increase, but even the poorest will be much better off in a country with higher GDP. And so on. I will not spend time here to examine the veracity of every detail and every claim that goes into the making of this doctrine. I wish to take it as an example of how assumptions are hidden underneath a supposedly factual claim, and why they need to be unpacked in any debate about a better society. Let me quickly consider a few of the broader issues. This doctrine is invariably used in combination with certain other doctrines. For example, the neoliberal doctrine often goes hand in hand with it. It is claimed that “development” will happen and prosperity will come if the government, and more generally the state, focuses exclusively on creating a “business-friendly” environment. This entails two large-scale strategies supported by a number of other policies, each with far-reaching consequences. The first is to make the labor market even more flexible. This phraseology successfully hides how brutal this statement is for a country like India. It would end up in further depressing wages in a labor-surplus economy where most of workers have virtually no rights, no security net, high unemployment and are already forced to work for pittance. The second strategy is to turn large-scale public assets into private capital. In a country like India capital is drooling over the prospects of grabbing mines, forests, water, and much of land, both public land as well as private land of the small owner, and turning them into large private capital. Indian corporate capital is ready to conquer the world not because it is especially innovative or competent. It does not even nurse a dream to turn India into the factory of the world and displace China from that position, all big talks about “Make in India” and “Skill India” notwithstanding. It is ready to march on the world because it has fat purses thanks to cheap labour, plundered assets and freebies from the State. Should one also not notice the irony that while world capital is being enticed to come and “make in India” Indian capital is more interested in buying foreign companies or in plainly sneaking out of the Indian economy and getting placed in the safekeeping of Swiss and other banks or getting invested in foreign economies and government bonds? How far should one go to bring prosperity and “development”? Can we create a better society ever if we proceed along this path? Being students of politics and economics you may examine certain other assumptions too. If “development” is to be equated with economic growth alone, which in turn is defined as a higher return on investment and add to this the fact that all productive assets will belong increasingly to private capital, are we not handing over the entire economy to a handful of large corporations simply because this path, by design, leaves no alternative? Is it really true that “there is no alternative”? How long can one cite the collapse of the “twentieth century socialism” as the rationale for offering the entire world to the corporations on a platter? Is it fair if people are denied experience of managing assets and economy and then it is argued that productive assets will be squandered away if people have any say in running the economy? We should, therefore, be ready to question this strategy if anyone still claims that it is a strategy for building a “better society”. Prosperity of a certain kind and to a certain extent may be achieved by elevating greed to a virtue, but it would not lead to a “better society”. There is no alternative but to find a way in which prosperity is created through an active and self-motivated participation of the entire society. Such a path will also lead to the realization of other values, such as equality, justice, freedom and a cultivated mode of life. All these go into the making of a good society. In the end a few comments about innovation. It can be of many types and can serve different purposes. It can feed into making an entire society prosperous and it can come about only to serve narrow interests and naked greed. It can also be malignant in nature and can be deployed in evil designs. In the context of our discussion it is pertinent to note that innovations of the best kind happen when it is inspired by the mission of creating a better society and at the same time it has its foundations in the depth and the soundness of knowledge. Sometimes a point can be quickly made through a counter-example, rather than an example. You must have heard the now famous references to the “demographic dividend”. India has the youngest work force and it will have the largest share of the world’s productive population in the coming times. The developed world would have aged and would require its work to be done by others. Already the largest part of our overseas income comes from exporting workers. We are dreaming even further about becoming prosperous by supplying work-force to others. This is not a prescription for creating a good society and a great civilization. No civilization has achieved glory just by providing services to other countries and civilizations. We cannot achieve glory by managing other’s businesses, by nursing patients in hospitals abroad, by attending to customers on the other side of planet from our call centers, by writing software for computers built by others and by putting on feet other people’s ideas and innovations. Do not get me wrong. I do not think any work is demeaning. But remember, we are talking about knowledge and innovation feeding into the making of a better society. We are also talking about the dignity of a culture and the glory of a civilization. We have reasons for getting worried. Rather than creating new knowledge if we are going to boast that we had avionics and plastic surgery in the ancient India, if our most effective innovations are about how to cheat people, spread rumors and foment riots, and if our notion of a good society is where mob sentiments outweigh the right to life and citizenship and a majoritarian culture decimates all cultural diversity, then we have reasons for getting worried. I am sorry that I have to end on a rather pessimistic sounding note. But take it as a cautionary note and a realistic assessment about the nature and the scale of tasks that confront us. There will be deeper meaning to the “demographic dividend” if young people begin to think about creating new and deep knowledge and about coming up with brilliant innovations in order to build a prosperous, just, egalitarian and cultured society and give rise to a great civilization. 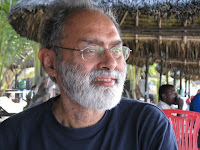 Ravi Sinha is an activist-scholar and a leading member of New Socialist Initiative (NSI) who has been associated with the left movement for nearly four decades. Trained as a theoretical physicist, he has a doctoral degree from MIT, Cambridge, USA. He worked as a physicist at University of Maryland, College Park, USA; at Physical Research Laboratory, Ahmedabad; and at Gujarat University, Ahmedabad before resigning from the job to devote himself full time to organizing and theorizing. He is the principal author of the book, Globalization of Capital, published by Lal Parcham and Lok Dasta in 1997, and a co-founder of the highly acclaimed Hindi Journal SANDHAN.